I am the kind of guy that goes into restaurants the same way I do music festivals and concerts. If I go to see classic rock I expect to see and hear classic rock. If I go to see hard rock I want to see and hear good hard rock. Same thing for my love of smooth jazz or easy listening. I come in with the right expectations in mind. This mindset is what I brought with me to Aquavite on this evenings debut visit. I wanted to experience traditional Italian fare as I had back in fall 2007 during my month long stay in various major cities in central and southern Italy. I will show you clearly (see pictures) and describe vividly (read on below) why Aquavite is your best choice for those who desire to find real, true, traditional Italian cuisine and bypass much of what has become Americanized versions adapted to please the western pallet. Nothing wrong with that either of course. But for the purest like me, good food traditions never get old and need not be replaced. 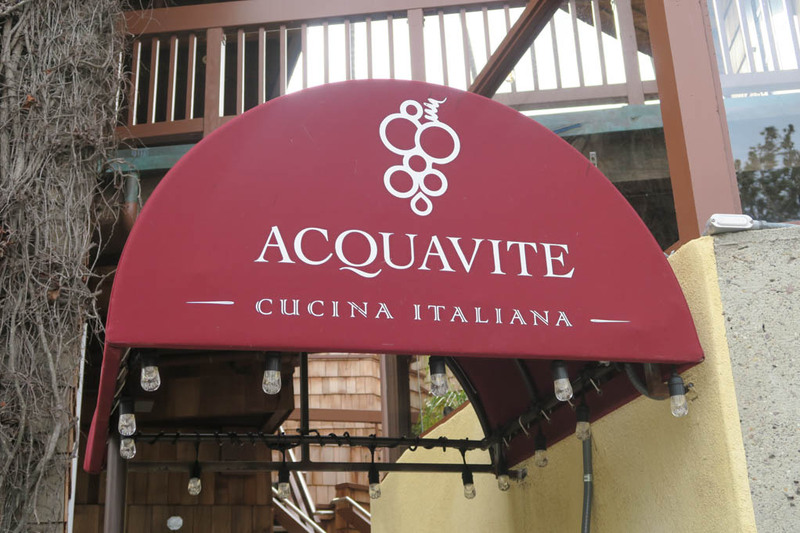 Aquavite is truly a great La Jolla neighborhood restaurant where customers can drop in for a nice lunch with friends or coworkers, or dinner with the in-laws when they’re in town. A wonderful date night choice as well. Located right on the shores of La Jolla off Prospect Ave, its perfectly located near the hub of La Jolla shops and night life. 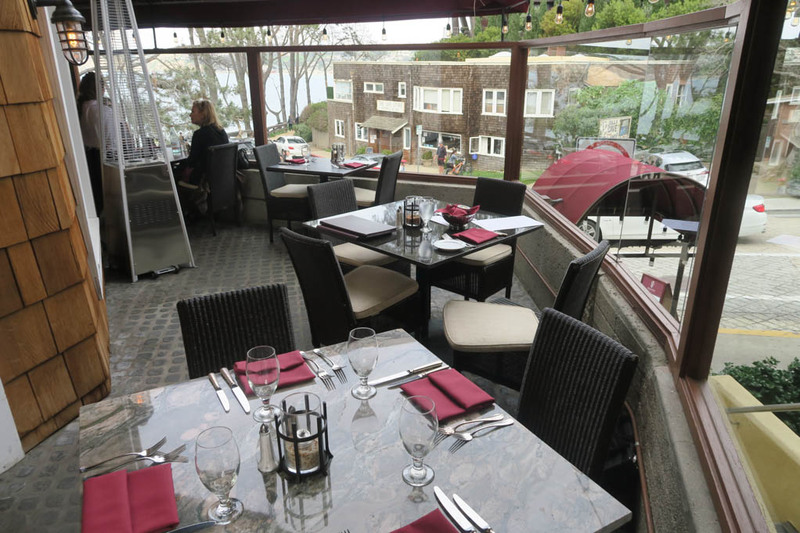 The restaurant boasts a truly beautiful ocean view from the patio and there is also a private room ideal for any type of event like a baby or a bridal shower. The ambiance is romantic traditional Italian with beautiful music mostly by Italian singer Lucio Dalla. 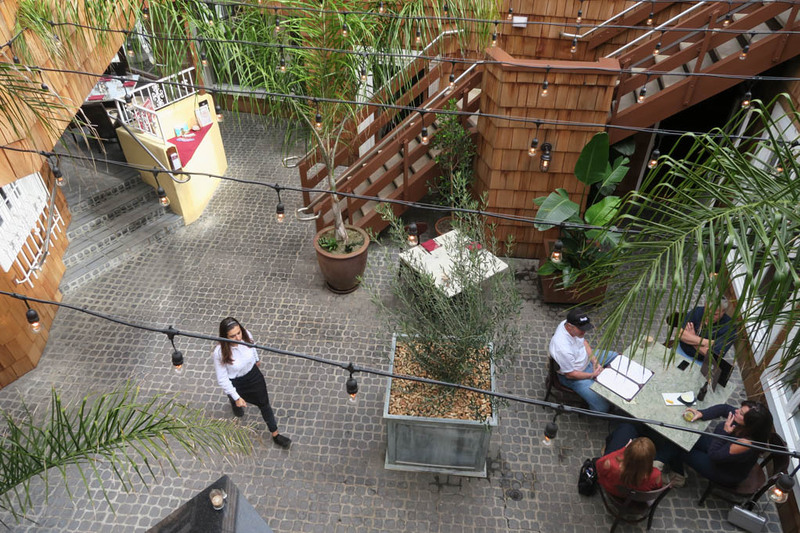 The restaurant is owned by two Italian families, with executive chef/owner Filippo Piccini from the Tuscany region and general manager/owner Nicola Balsemin from the Veneto region. 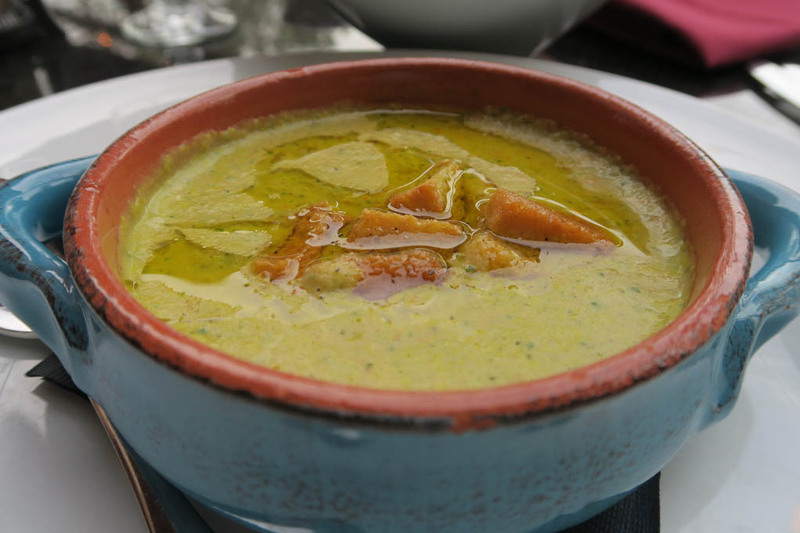 Filippo serves exceptional pastas and sauces that he makes in house with fresh ingredients everyday. 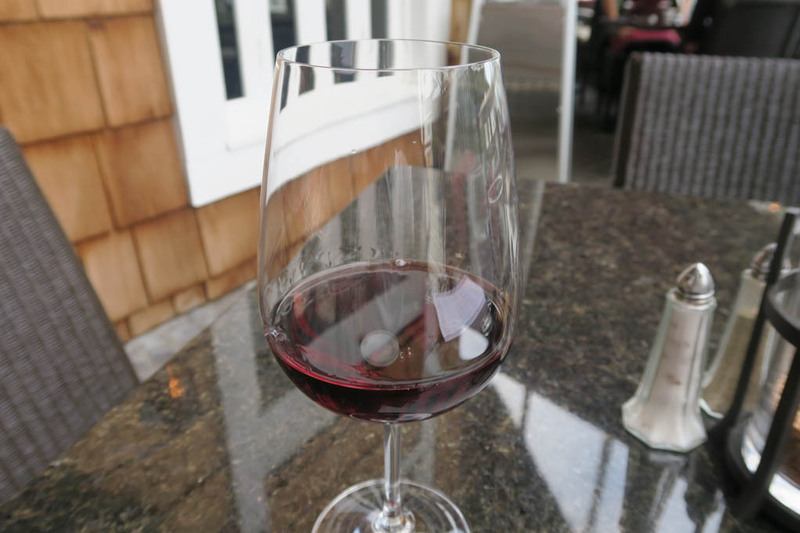 With his extensive culinary and sommelier training and certification, he brings the flavors of Tuscany to La Jolla. 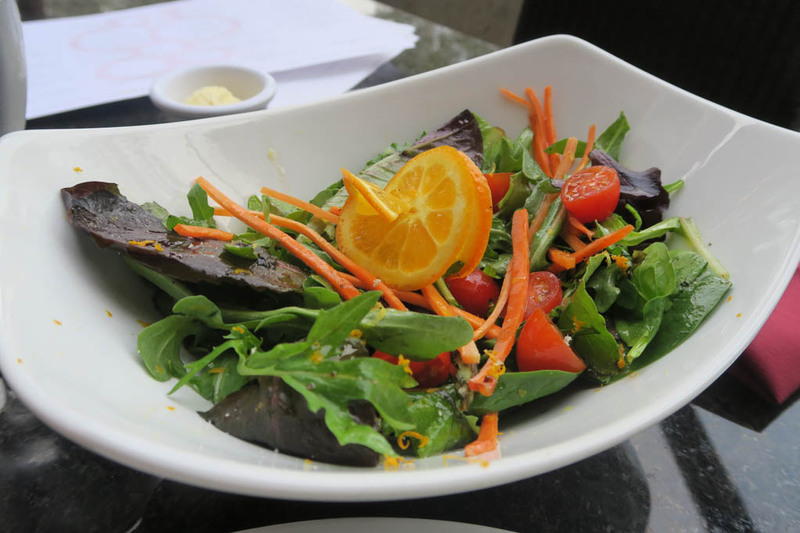 The restaurant dishes out respectable versions of traditional Italian classics passed on and perfected over the years. Let me now take you on a culinary road trip of amazing, traditional style Italian foods that your nonna we be proud of! 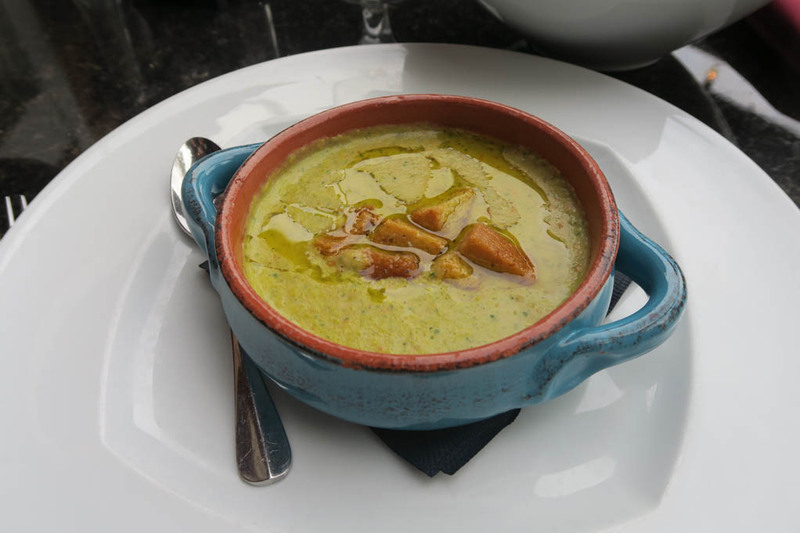 Soup of the day- a wonderful vegetarian soup made from a pureed blend of local farmers market vegetables like broccolini, cauliflower, carrot, celery and zucchini. Super creamy and loaded with flavor of vegetables. Drizzled with EVOO and croutons. 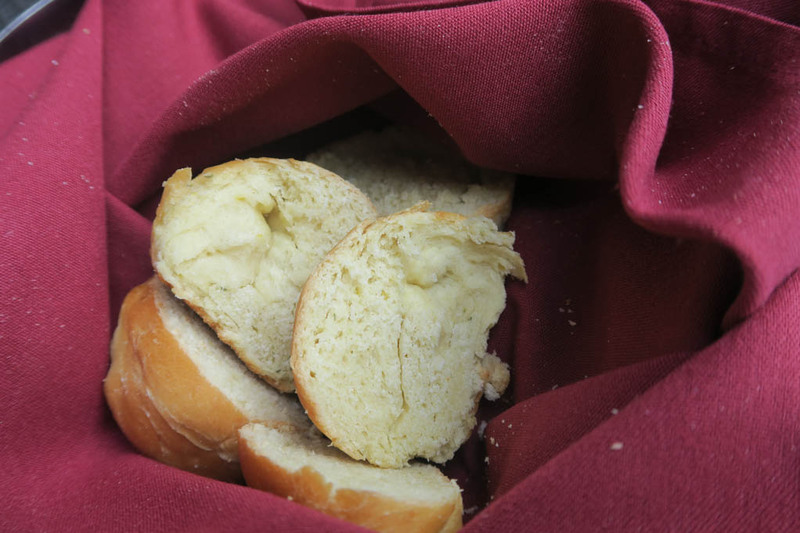 Perfect for dipping their complementary fresh bread basket into! 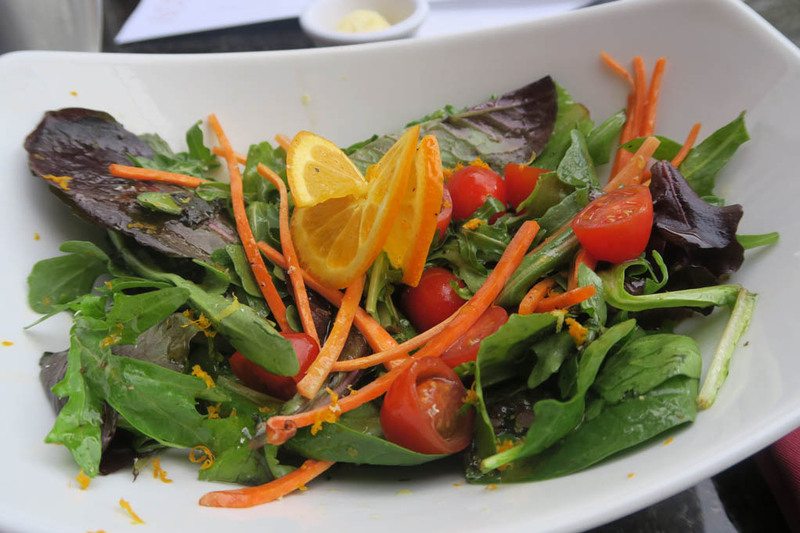 Insalata Mista- a generous portion of fresh organic mixed greens, shaved carrots, cherry tomatoes and a light orange vinaigrette. 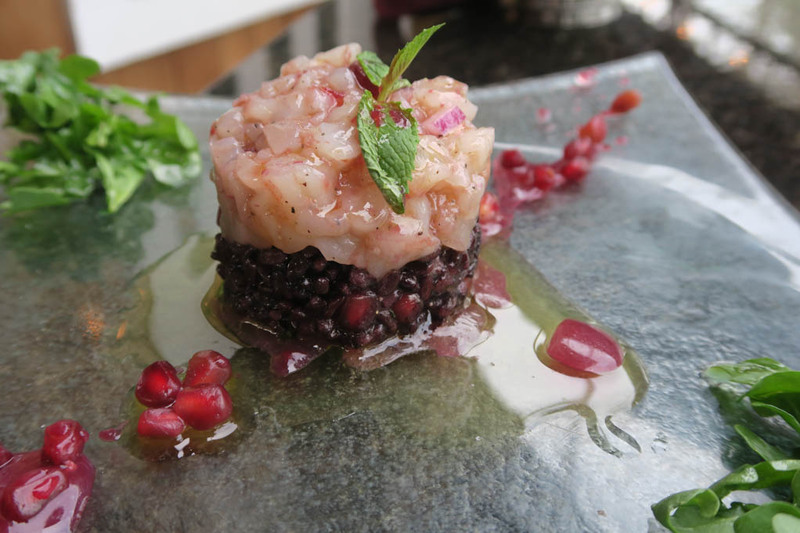 Shrimp Tartare– succulent, fresh, minced shrimp mixed with fresh pomegranate vinaigrette sits atop an earthy, mint infused black venere rice that comes together splendidly in both flavor and texture. 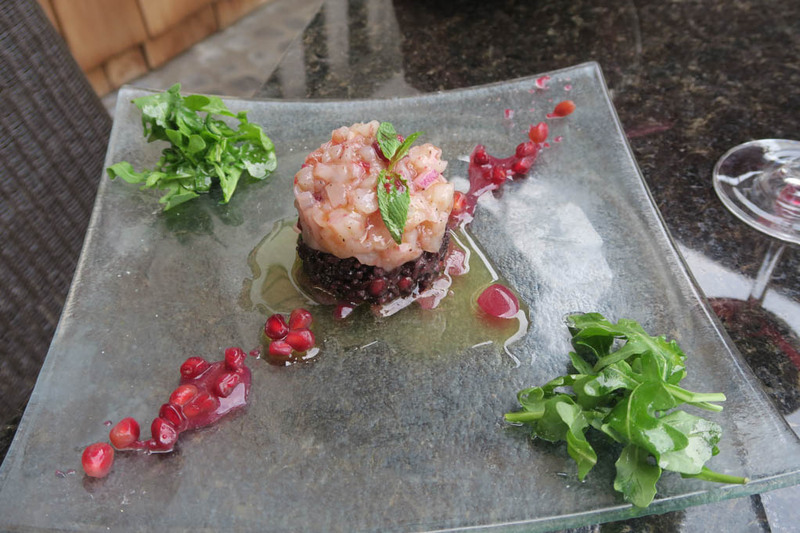 A must try appetizer for seafood fans! 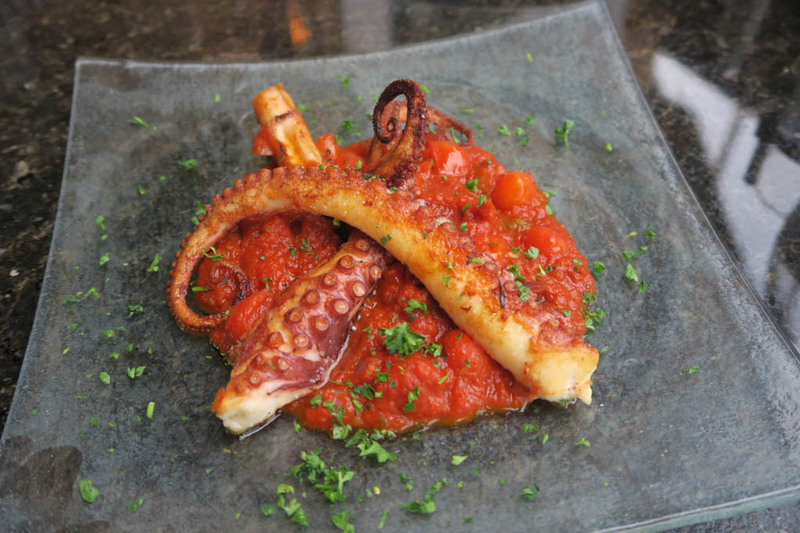 Grilled octopus– I have tried many times in the past to make this at home and had decent success. I was humbled to have the bar raised ten-fold after this experience! The octopus texture was on on point! 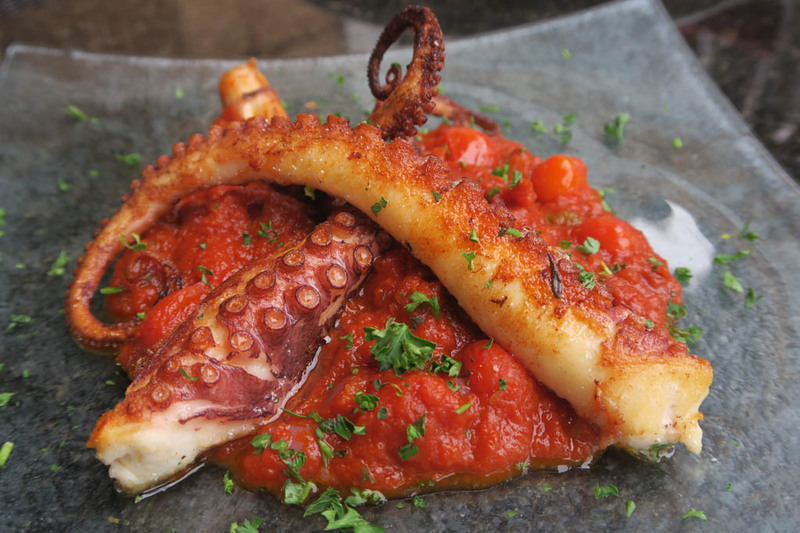 It was served over an amazing sauce of capers, black olives, and a spicy tomato sauce that I made sure every single bite of grilled octopus was dipped into! 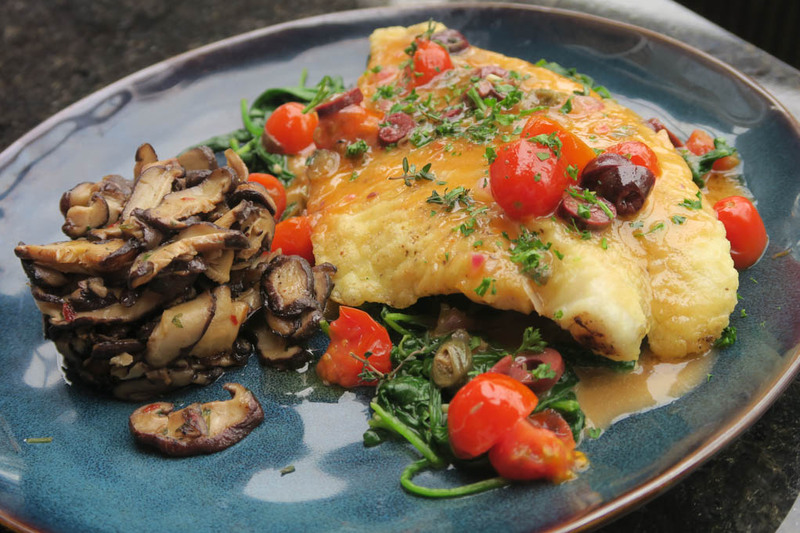 Fish of the day w/side dish of champignon mushrooms– A wonderfully oven baked, fresh, locally caught seabass fillet, lightly dusted with flour. Flaky and tender white fish full of flavor that just melts in your mouth. 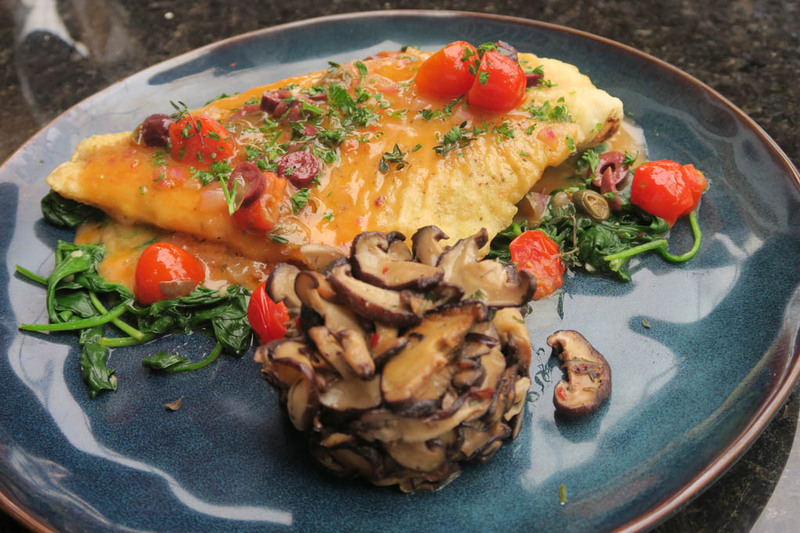 Its served over steamed spinach and a deliciously light citrus sauce unlike anything I have had before. This was so simple in structure but so very complex in flavor profile! The champignon mushroom side dish was made with extra virgin olive oil, garlic, white wine, chili flakes and Italian Parsley. Mushrooms like this are in a class all by themselves! 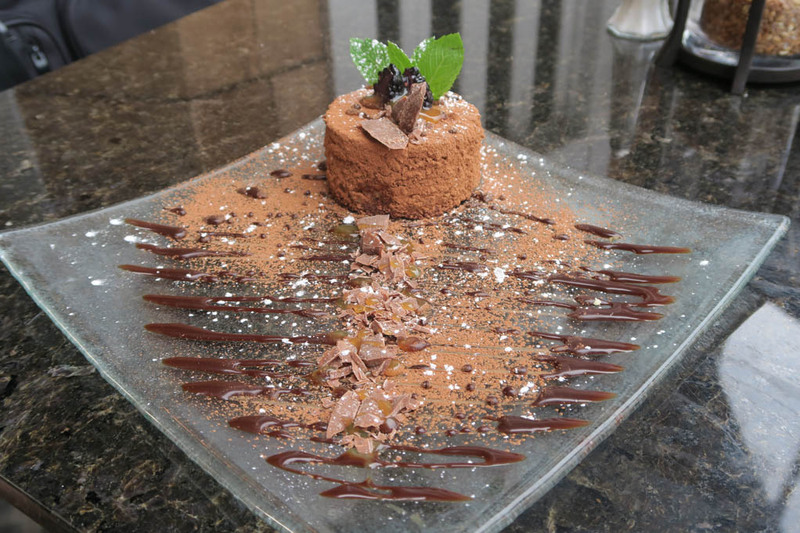 Tiramisu- Layers of sponge cake that is soaked in coffee, brandy or liqueur with powdered chocolate and mascarpone cheese. I was getting quite full by this point yes, but there was no way I was passing on traditionally made Tiramisu dessert as this has been a personal favorite since my own journey to Italy years ago. 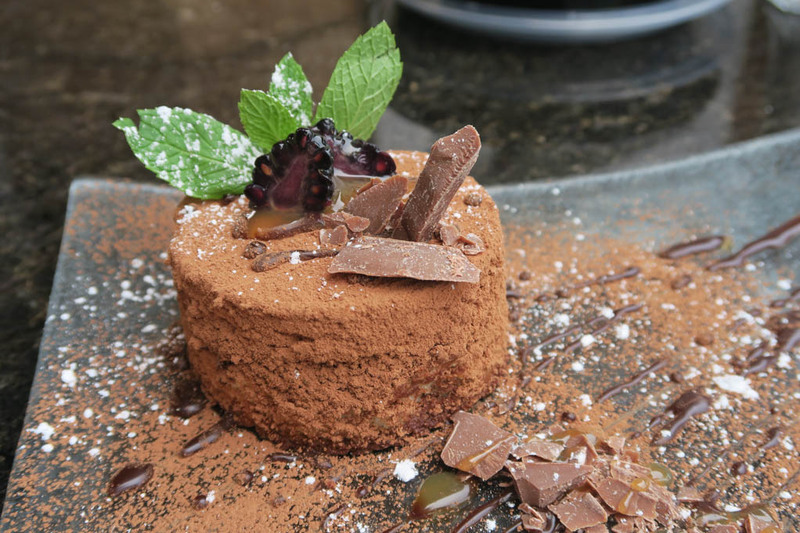 This dish transported me right back into the pastry shops of Rome, Florence and Naples upon first bite! Molto Bene! After this amazing experience, tasting the memorable food, meeting chef Filippo, interacting with his amazingly kind and helpful staff, taking in the views…..I was blown away by this place. Start to end, I was pleased with what my senses were exposed to in sight, smell and taste. I even got to brush off my Italian speaking skills a bit via my talks with chef Filippo and his staff. You too can do the same (or learn some) while partaking in a culinary experience unlike you have had before. The best part is that you don’t need to book a flight to Italy to do it! 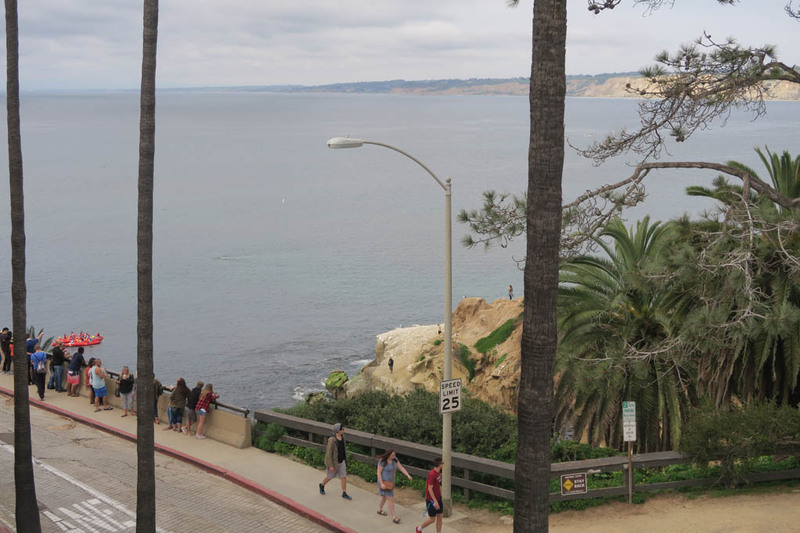 Its all right here in La Jolla! Mangia!